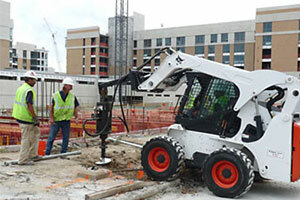 Edens Structural Solutions specializes in commercial foundation repair solutions. From retail stores, to municipalities and multi-story investment properties, we offer quality foundation repairs that restore the value and usability of your property. Edens Structural Solutions is the industry expert in repairing commercial foundations. Since 1983, we have been getting the job done right the first time. We are fully insured, allowing you to rest assured that when you call Edens, you know you have called the right commercial foundation repair company. If your commercial property is showing signs of foundation problems, contact Edens Structural Solutions today to schedule a free, no-obligation quote. Don’t wait until your property experiences severe foundation damage! Call us today at 918-366-3001 to schedule a free estimate.